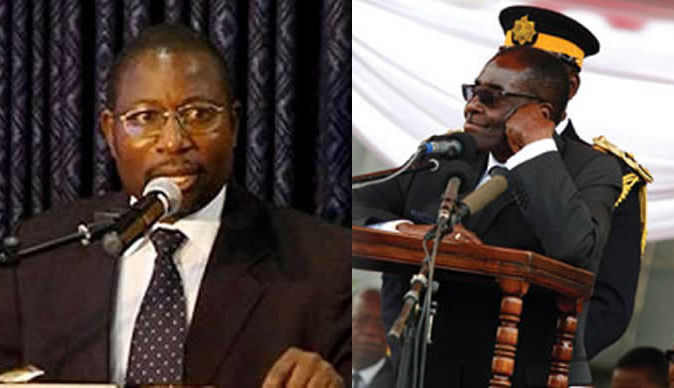 Former Energy Minister and the interim leader of the opposition Renewal Democrats of Zimbabwe, Elton Mangoma, says he must be commended for exposing a scandal at the state-owned Zimbabwe Electricity Supply Authority (ZESA) in which President Robert Mugabe, cabinet ministers and Members of Parliament were not paying electricity bills at their private properties. The story was first published by a local newspaper, the Daily News, in 2012. In an exclusive interview with VOA, Mangoma refuted allegations by critics that it was under his watch that senior government officials were not paying electricity bills. "When I was there, that's when people knew that ministers were not paying and what people must know is that during that time, government officials and ministers started paying for their electricity." Mangoma was a minister under the tenure of the Government of National Unity from 2009 to 2013. The GNU was formally established after the Zimbabwe electorate had delivered a hung parliament following the 2008 disputed election results. The named defaulters also included legislators from across the political divide in the then ruling coalition, judges, provincial governors and permanent secretaries. Mangoma alleges that the current power cuts are a direct result of the ruling Zanu-PF party's poor planning. "Zanu-PF never invested in energy for the last 35 years and any capacity generation increase that we have seen has actually been put in under my watch as minister of energy."